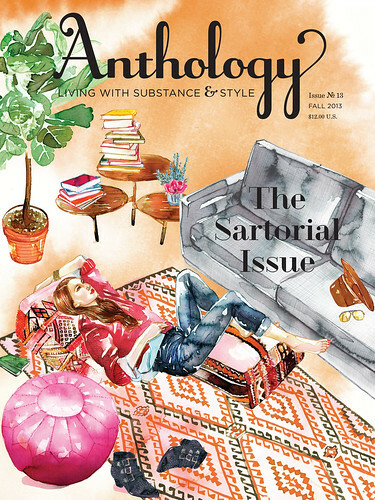 I was thrilled when Anthology Magazine asked me me to illustrate their sartorial issue cover (issue 13). 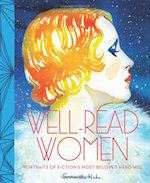 I was also so honored when they came over to shoot me in my home/studio, interview me about my book Well-Read Women: Portraits of Fiction’s Most Beloved Heroines and ask my questions about my illustration career for a lovely feature in the issue. 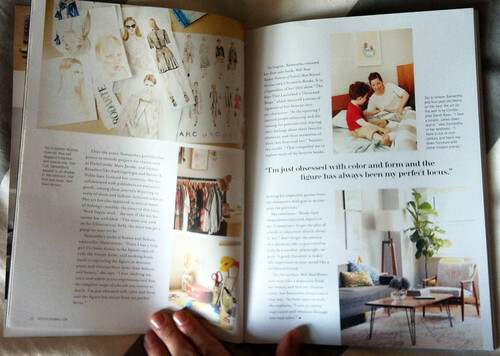 My beautiful and talented collaborator/pal Rubi Jones is in there as well. I showed this to Henry and said “you are in a magazine”. He was super unimpressed. 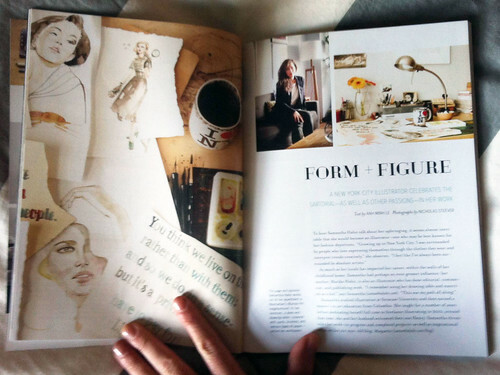 Nonetheless, Anthology is such a beautifully designed magazine with such rich and fascinating content. I love it and am so happy to contribute. 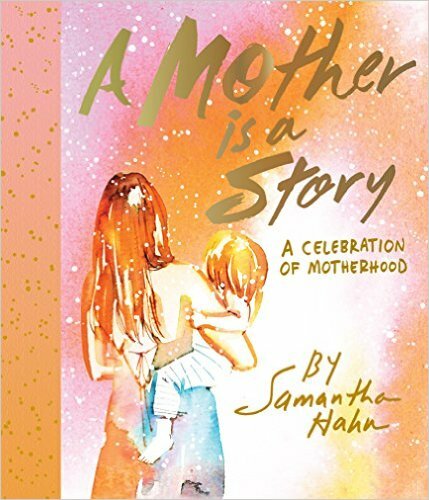 This is beautiful, I love the cover!!! thank you for saying so dear holly!!! Love you! I actually thought of you for some reason when I drew that room. Did you maybe ever feature a pouf like that? Your work is so beautiful and it is wonderful to see it grace the cover of Anthology!